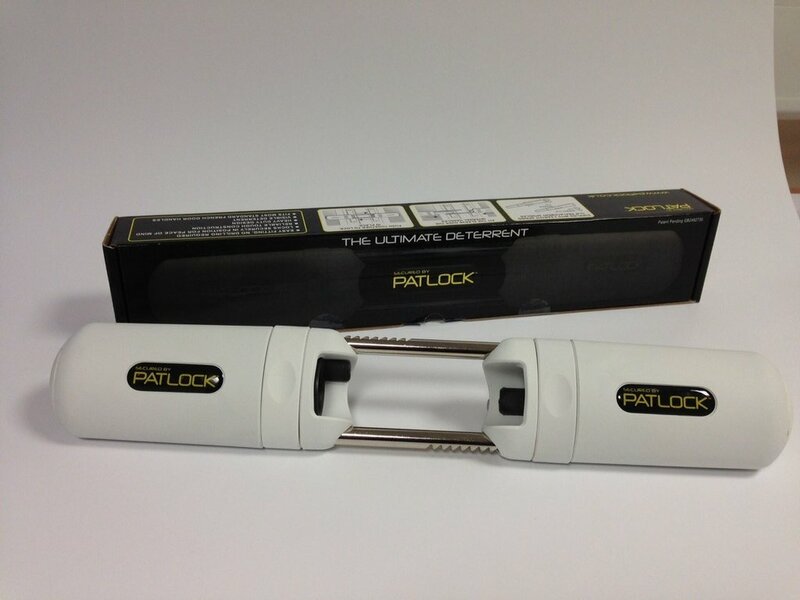 Here at Locktec we supply and demonstrate one of the best French Door & Patio Door security locks the Patlock. 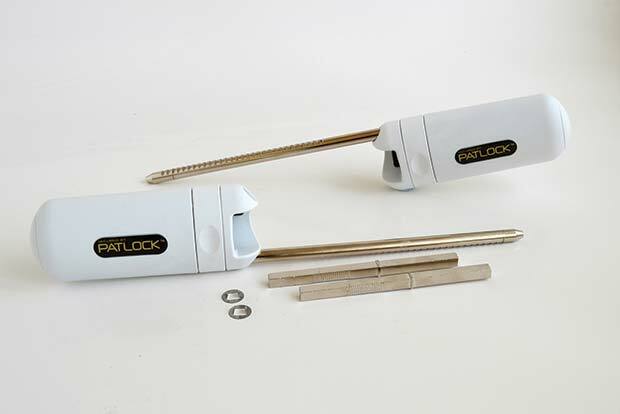 The Patlock is easy to fit and works by holding french door handles in place by you or our expert locksmith Dublin can demo. 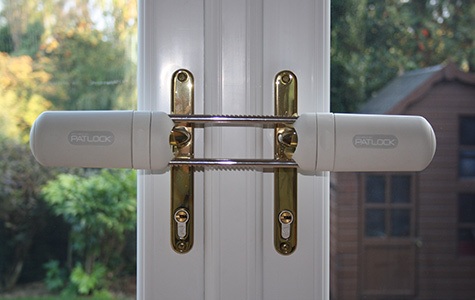 This ensures that the door mechanism cannot be opened, even if the locks are snapped or removed. 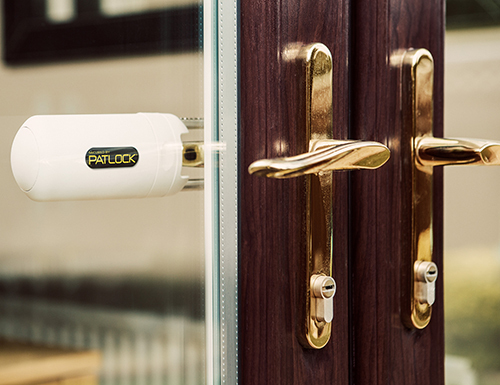 Patlock has been designed to assist home and business owners in securing their property against burglars and the growing trend of lock snapping. 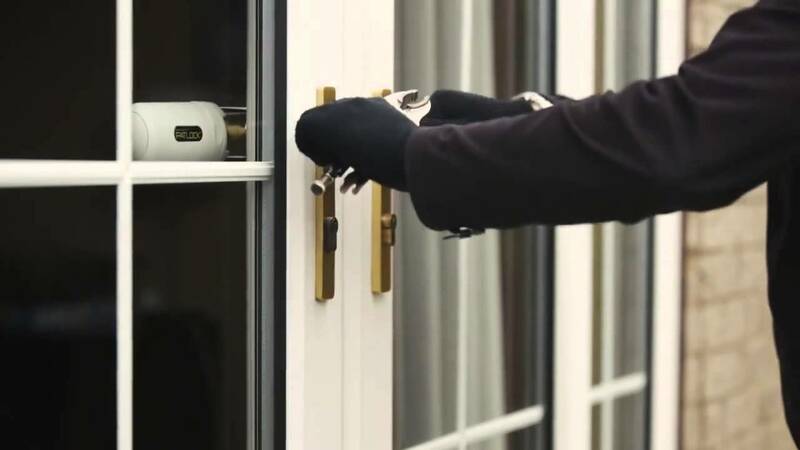 Most forced entry burglaries are committed through the weakest point at the Patio or French Doors. This is where Patlock comes in. To request a Patlock, call Freephone 1800 84 84 85 or get a locksmith directly on their mobile at 086 730 77 88. For a quotation on a non­-urgent job, please fill in the form on this page. 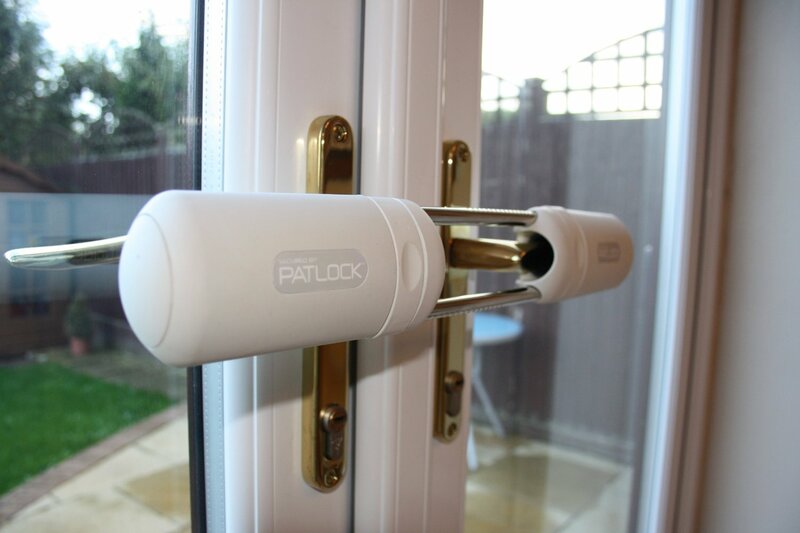 The Patlock is a well-designed, robust, easy to use and aesthetically pleasing product to be used within the home on most French and Conservatory doors. The unique internal lock is designed to operate with ease, yet install maximum security and peace of mind.